A friend of mine who owns a new Android smartphone running on Android 4.4.2 KitKat asked me about a problem he is experiencing with his device. Basically what happens is that when he plays his favorite songs using the stock music player it works well if the external speaker of the phone is used. Once he uses his headphones this is where the problem starts. The song playing will randomly cut off and nothing can be heard on the headphones. If you check on the display the pause button can be seen which means that the song should be playing. However, the timer on the song track is stuck and not moving. So do we resolve this issue? This is what we will be discussing in this post. Below are the steps that you can do to fix this issue. After performing each step check if the music still pauses when using headphones. If it does then proceed to the next step. Even if your phone is new it does not mean that there aren’t any software updates available for it. Once you turn on your phone it is always best to check for any available updates. These updates contain improvements and bug fixes that may help resolve the issue. Since the problem occurs when playing music we can then isolate the problem to the music app. You will need to clear its cache and data. This eliminates any glitches that may be stored by the app. On the More tab, tap Application manager. Scroll to and tap the desired application. The application cache and data is now cleared. 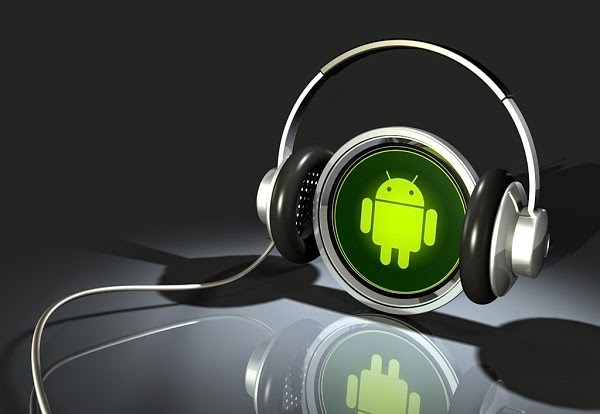 There are many popular music player apps available at the Google Play Store. Try to download one of them and use it. What we are trying to do is determine if this is an application problem or a system software problem. Sometimes even if your phone is new the included headphones may be defective. In order to isolate the headphones you have to try to use another pair. If you are using a third party launcher then try to use your phone default launcher and see if the issue still exists. An example is if you are using the Google Now launcher this kind of problem seems to occur. To resolve it you have to go to Google Now – Settings – Voice – “Ok Google” detection then uncheck From Google Search app. What happens is that there seems to be a conflict between the voice search from lock screen and music being played from locked screen. If all else fails then try doing a factory reset on your device. You can do this by going to Settings – Backup & reset – Factory data reset. Just make sure that you backup all of your data first since this will be deleted in the process.